earthware. 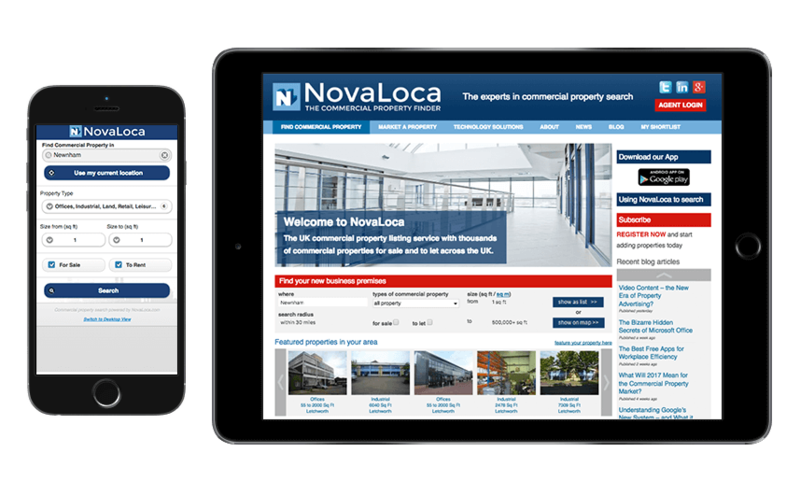 Responsive property portal for NovaLoca. We love it when a project partner becomes a permanent partner. 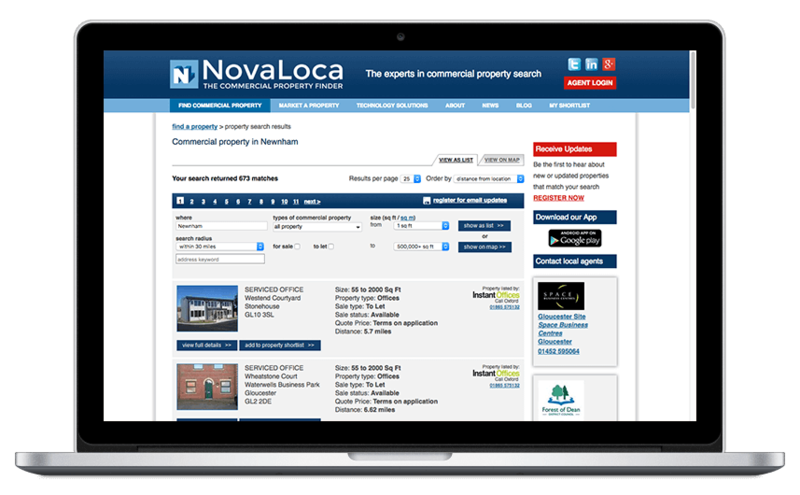 We helped NovaLoca conquer the commercial property market by creating them a bespoke digital solution. Together, we solved the problem of a lack of commercial property portals and since then, they have been a valuable partner for 10 years. Because we wanted to transform the process of advertising and searching for commercial property. We created a responsive website that streamlined the process of listing a property. Our solution has a user friendly property search, integrations with other applications and a visually engaging interface. As NovaLoca was a start-up, we ensured the site was as search engine optimised as possible to get maximum traffic. Working together, we achieved this, delivering a solution that helped NovaLoca achieve 2nd position in the market within 2 years. We love working with earthware. They work phenomenally hard to understand our needs and to create something we are all very proud of. Their maps are amazing and we are totally committed to a long term partnership with them.